This registration form is for the web mobile version only. 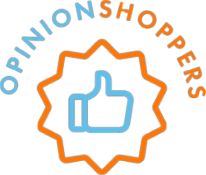 To get Opinion Shoppers on your Clover Station, Ingenico Telium Tetra, AEVI Albert, and Verifone Carbon Terminals, please sign up thru your terminals Marketplace. Search for Opinion Shoppers, select your package, and download!